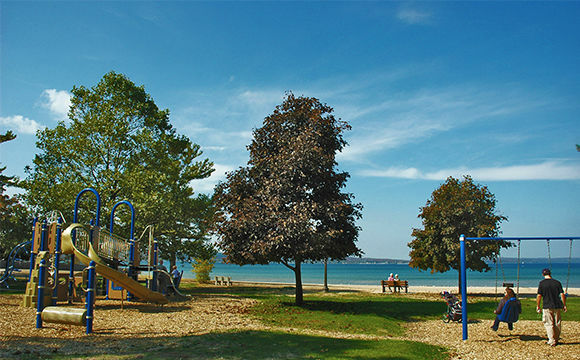 Picnic area, a playground, restrooms, charcoal grills, tall pines, a long stretch of sandy beach, and lifeguards (mid-June -- August) make this a popular spot near downtown Traverse City. 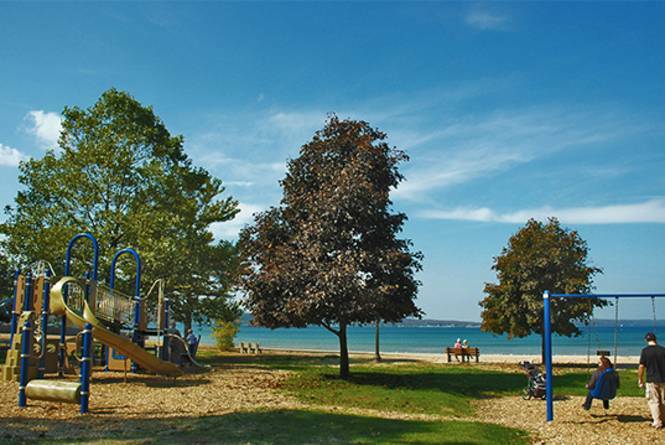 Often you'll find excellent sunset views overlooking West Grand Traverse Bay, bright sun and cool shade. It is located where Garfield and Front Streets intersect at the base of Old Mission Peninsula.